“P3 for PA” is the name of yearly conference that QRP International dedicates specifically to the Public Administration: P3 stands for “P3 Management, so Project, Programme, Portfolio”; and PA stands for Public Administration in fact. Nowadays, organisations need to change better, faster, cheaper: there are many factors of Change that companies and organizations need to recognize and know how to face. These “factors” are technically called “Drivers of Change“, and they investigate the key global issues and trends driving change in our societies and markets. These kind of changes affect the organisations in many different ways: in order to be ready, any organization need to have a strong structure, which goes beyond strong Project Management only. This “strong structure” is the so called P3 (or PPM) Framework, the Project, Programme and Portfolio Management levels within each company or organization. P3 FOR PA – THIRD EDITION: 2017 marks the third edition of this dedicated conference for the Public Administration. The panel of speakers of past editions of this conference included Mr. Bart Vandersmissen, Head of Change Management at Eurocontrol, Mr. Peter Wauters, Program Manager Portfolio Office at FPS Health, Food Chain & Environment and Ms. Annabele Haegeman, Strategic Coordination and Communication at FPS Finance. 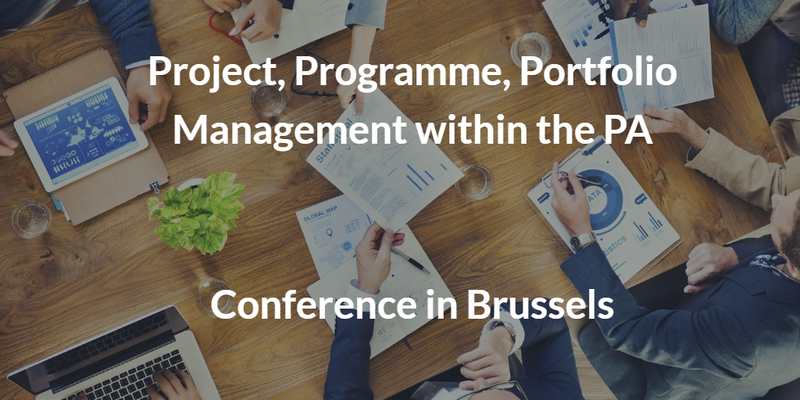 ABOUT THE CONFERENCE: our P3 Framework event focuses on Public Organizations, due to the different and specific Management of Benefits that need to be put in place in this sector. This unique event will gather key persons from the industry and help you learning more about the P3 framework and how your organization can benefit from implementing or improving it. First objective of the conference is surely to be more familiar with the P3 structure and on how to set up a P3 structure in any organization. By networking and sharing with peers and experts from the field, participants will also be able to develop some ideas on how to improve their own organisation. ABOUT THE SPEAKERS: together with the expert trainer and consultant from QRP International, Georges de Wasseige, two are the guest speakers invited this year: Mr. Mahy Didier, Executive Projects & Portfolio Management Officer at AFMPS (Agence Fédérale des Médicaments et Produits de Santé); and Mr. Tom Van Medegael, Project Management Officer at Smals. Visit the event page at this link for all further details about the presentation and practical details on the location.